Draftmasters are available to fit both 2.00 inch and 1.25 inch receivers. 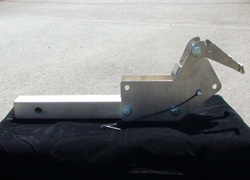 For 2.00 inch only we also offer an extended length receiver connection, perfect for vehicles with rear mounted spare tires, or to provide extra space for access. Int125 - 1.25 inch standard reach.